Lightweight universal hydration bladder carrier. Fits most popular bladders of 2 liter capacity. Three-dimensional design allows the carrier to expand outwards, without causing discomfort to wearer. Side zipper closure allows easy access to the bladder. 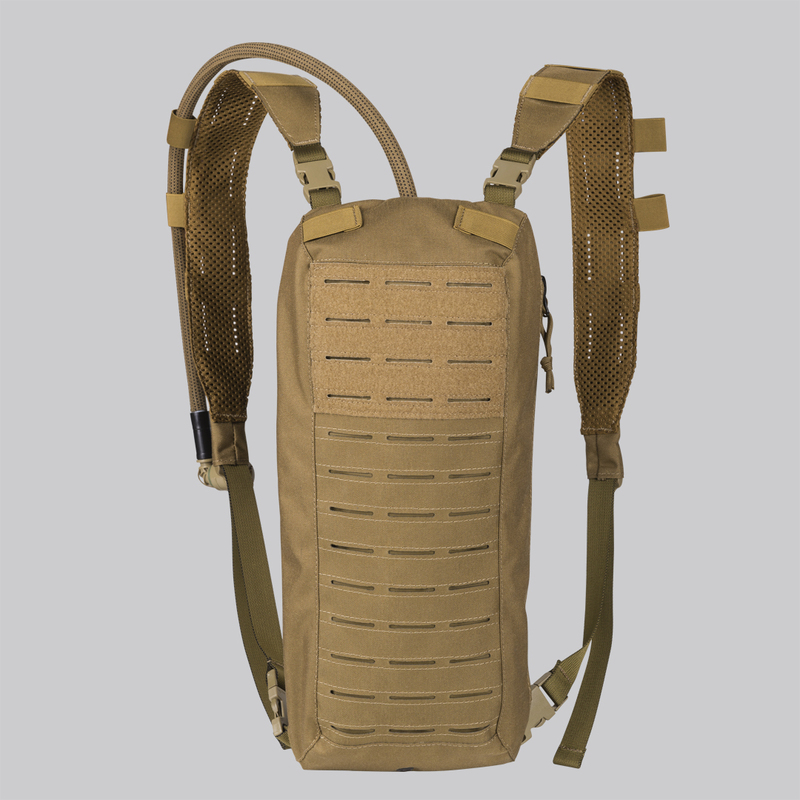 Outer surface is covered with PALS/MOLLE slots to allow attachment of additional pouches. Multi Hydro Pack Can be attached in several ways (with PALS, integral straps or mounted to the MOSQUITO H-Harness. The hydration bladder tube can be routed either left or right. Special loops to stabilize the pouch when attached to MOSQUITO H-Harness.